Ay, caramba! Talk about art imitating life, imitating art! 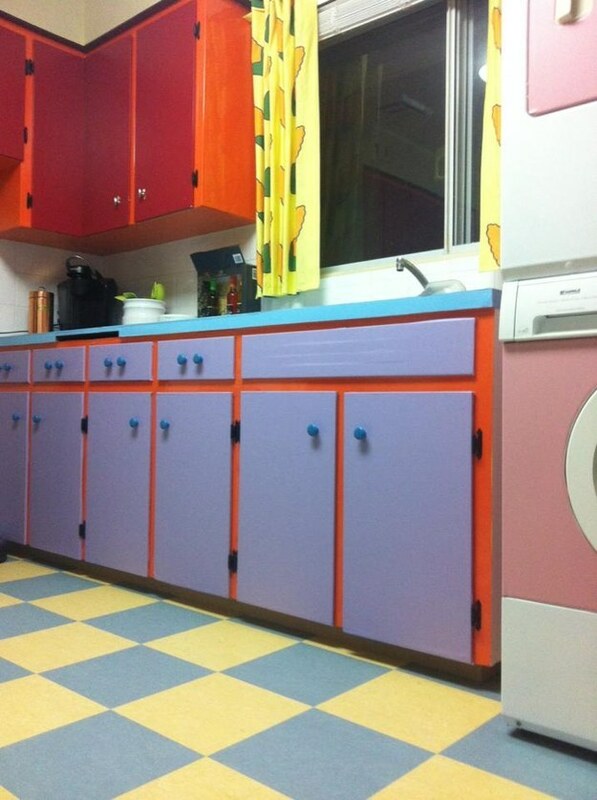 Calgary couple and DIY pros Marcia Andreychuk and Joel Hamilton have put their love of "The Simpsons" on full display, recreating their very own replica of the cartoon family's colorful kitchen. Andreychuk and Hamilton's remodel doesn't just end at the basic elements - the stove, cabinets, countertop, etc. The duo even went so far as to hunt down things like the Simpsons' corn on the cob curtains and their olive green utensils to give the room some real Springfield authenticity. The project is eight months in the making, and as Andreychuk told BuzzFeed Canada, the idea was spawned by "a random, conceptual moment." With Hamilton being a die-hard "Simpsons" superfan, it didn't take long for the couple to commit. 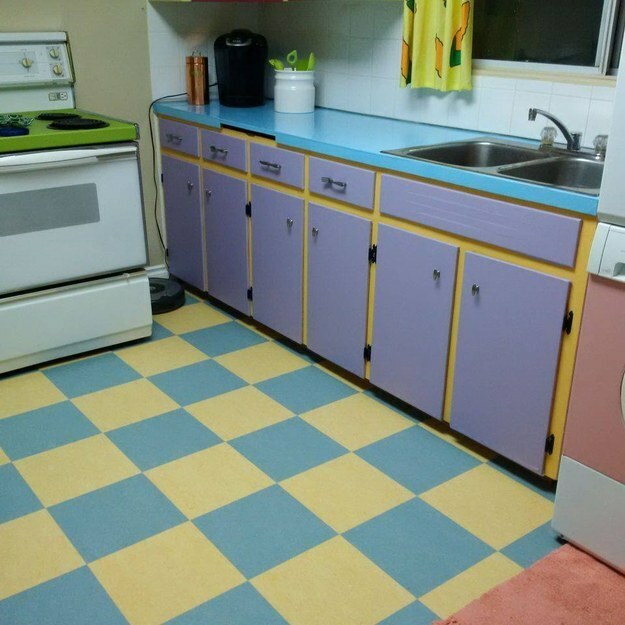 The blue and yellow checkered floor cost the couple $2,000, but they stayed cost-conscious by getting crafty with the smaller touches, like using colored contact paper to change the countertop blue and the cabinets purple, for example. Our favorite part? 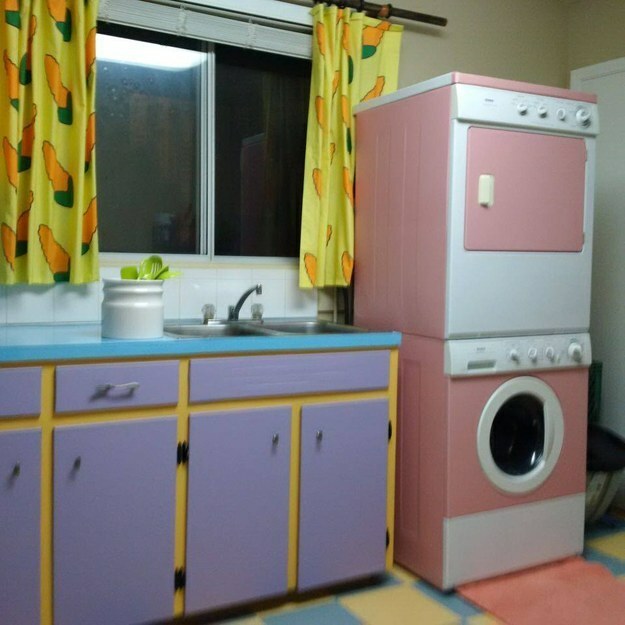 The retro washer and dryer that the couple gave a '50s pink and white look. Although most of the heavy lifting (and crafting) has been wrapped up, the couple is still on the lookout for a purple toaster, teal blender, orange phone and yellow canisters to complete the look.